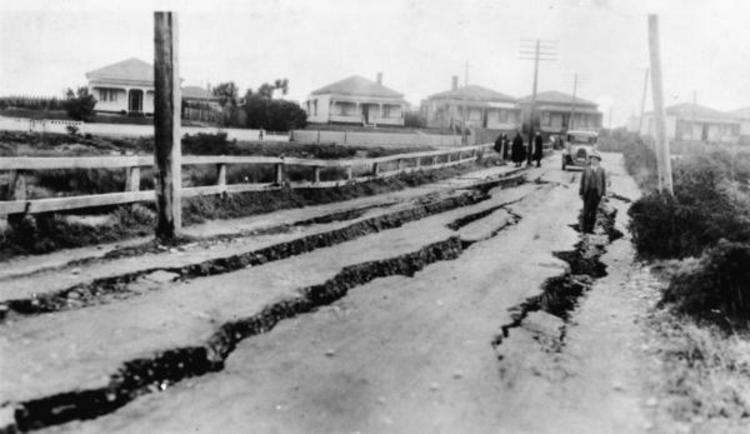 The massive rumbling of the 1929 Buller earthquake was heard as far away as New Plymouth. 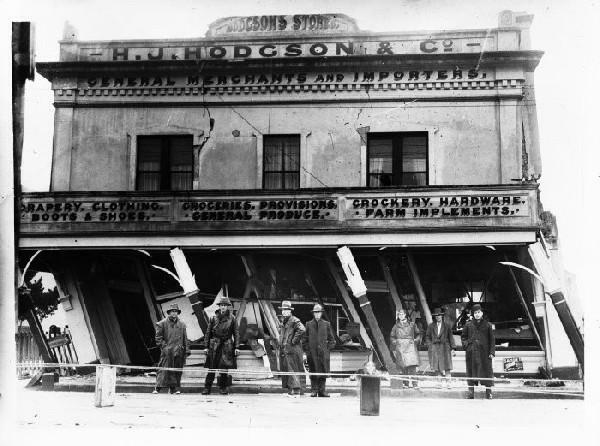 The earthquake that struck Murchison on 17 June 1929 was felt all over New Zealand. Fortunately, the most intense shaking occurred in a mountainous and densely wooded area extending ~65 km north of Murchison that was sparsely populated. 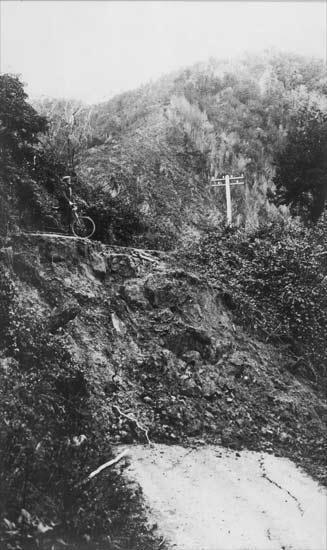 Casualties were therefore comparatively light and the damage was mostly confined to the surrounding landscape, where the shaking triggered extensive landslides over thousands of square kilometres, and surface faulting on the White Creek Fault in Buller Gorge. 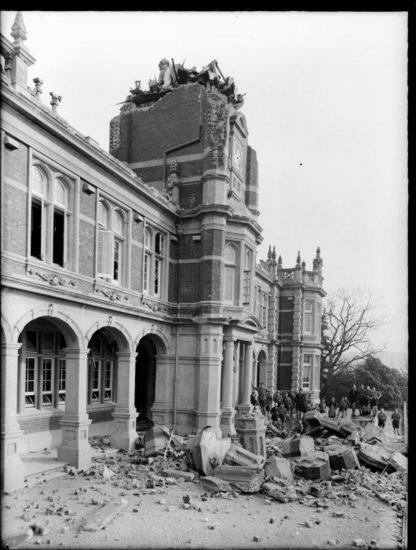 Nonetheless, the shock impacted with damaging intensities as far away as Greymouth, Cape Farewell and Nelson. Across this ~26,000 km2 area roads, buildings, bridges and other structures were severely damaged. Fifteen people were killed in the quake, a number of them overwhelmed by the numerous slips that swept down the region’s steep slopes. Another person was admitted to hospital for treatment of their injuries. Thirty-eight new lakes formed after the earthquake when massive slips blocked rivers and waterways in the region. Lake Stanley is one of the 21 that still exist today. 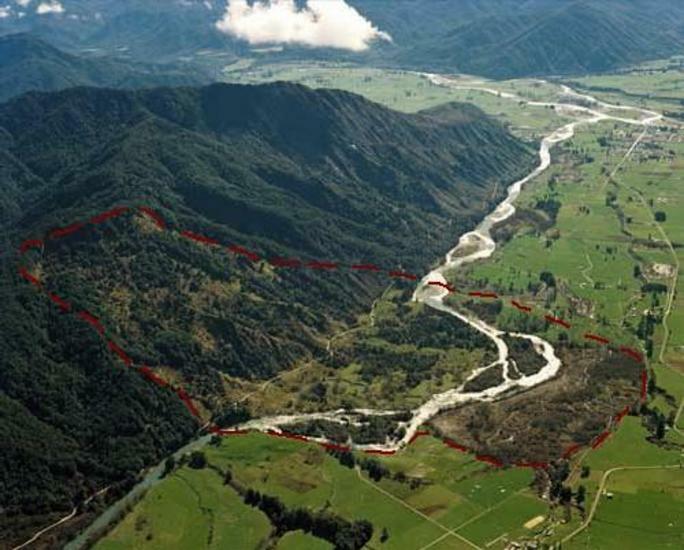 At the Buller River, a large fault surface showing ~4.5m of vertical movement was visible after the quake; about 2.5m of sideways movement was also measured. 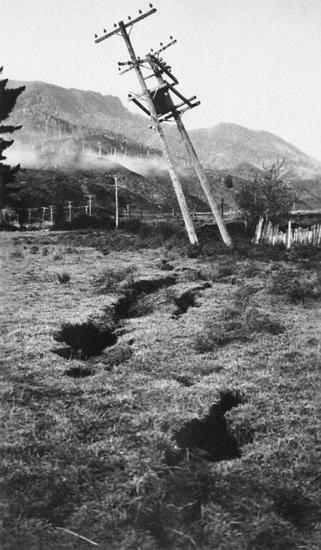 The earthquake was accompanied by a number of smaller shocks; in the hours leading up to the main shock a number of small earthquakes struck Murchison, and in the ensuing months several scattered aftershocks were felt across the region, some located as far north as Takaka.